Last Sunday, my friend Charles Brooking, founder of the Brooking Collection, held an elegant and select birthday bash blessed by uninterrupted sunshine. I mention this simply because Charles founded the Brooking Collection of architectural details, that amazing and comprehensive collection of the bits and pieces that we too often take for granted in the buildings we inhabit – from window catches to staircases. Charles’s collection dates back over the centuries and is a national asset that deserves to be fully recognised, while Charles himself is a leading authority on architectural details and their history. Those histories form the history of the buildings where we all live and work. October 2013 update: Thank you, Falmouth. We stayed in student accommodation at the University’s Tremough campus, where we envied present-day undergrads such comforts as individual en-suites and multiple power sockets while we remembered earlier student days. If you happen to be in the Falmouth area and you’re interested in building design, you’d probably find a visit to the brand-new the campus rewarding. Try flying by with GoogleEarth for a preview. Life is moving forward now. Our house is for sale and we are looking to move. I know now that all you hear about selling and move being mega stressful is all too true. But it’s time to pick up the pen again and, between clutter clearing and keeping the house looking decent for viewers, to get on with writing. Me oh my, but I find myself the proud owner of a new handbag ‘earned’ by writing a caption. This elegant pink bag by designer Shona Easton (www.shonaeaston.com) is part of her new range for Spring 2012. 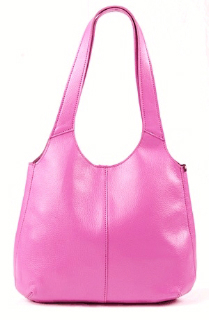 All Shona’s bags come in a wonderful range of colours, but she chose pink for Valentine’s Day. Her challenge was to complete the sentence, ‘I need one of those pink bags right now because ..’. Hmm, I thought, needs some alliteration here: how about:’.. perfect pink beats February blues,’ or ‘.. I’ve a passionate penchant for perfect pink’? Yes, ‘perfect pink beats the February blues’ is probably the better of the two, but in the end I sent in both. Shona thought my effort was worth a prize, and now dare I say at the end of an otherwise dreary day I’m feeling in the pink? It’s a good-sized bag and should be inspirational while carrying my maps and papers when I’m out on the trail researching for my book. Thank you, Shona! Haven’t I promised a write-up about the wonderful University College Falmouth post-graduate MA course? In case your curiosity is overwhelming, here is the low-down. It is: Brilliant. Fantastic. Inspiring. Exciting. Practical. Challenging. Life-changing. I’m writing from the perspective of one who is studying the on-line course for distant students – ‘distant learning’. Distant it is, as there are students in my year group in Austria, Uganda and Portugal. I was in Australia when the course began last year but was able to join in right away, except for one or two phone-in sessions conveniently timed at 6 pm in the UK, which was 5 am in Sydney. As the distant course is part-time (at least in theory) we’re over half-way through (our academic year starts in January). I have learned already an enormous amount: things I wish I’d known way before now and things I didn’t know I needed to know. This is how it works: there’s a unit of work each week, with on-line lectures and notes. Students post their writing to the forum for the week, fellow students critique (constructively) and tutors comment on everyone’s work. That’s the basic. In this process you get to know fellow-students and they’re all interesting people with lively minds. Well, they’d have to be! I guess that goes for the tutors too. They’re all publishing professionals. One thing I have to explain to friends is this is not ‘creative writing’, but writing with intent to publish. So far we’ve covered: practical writing skills in fiction and non-fiction, editing, business writing, blogging, websites and a book. Everything is very carefully programmed and I’m looking forward to getting back to my book, which I planned last year, once I’ve finished various other exciting units. The book is going to be my big project for 2012. That and a spot of free-lance work. I may well return to this later, but if you feel a flicker of interest you might like to see what’s going on. You could start at http://www.falmouth.ac.uk. I’ll be posting more anon as the year progresses. It’s going to be quite a year. I can’t let this day pass without saying something about Charles Dickens – surely as much a part of our national heritage as Shakespeare, and very likely accessible to more people. Today – 7th February 2012 – is the bicentenary of Dickens’s birth. Great pronouncements have been made in Westminster Abbey and we can all feel proud of ourselves as a nation. So Dickens was an Aquarian. I’m not surprised: Aquarians can be charming, delightful, very much their own people and occasionally so much their own people they seem a little apart from the rest of us. Original thinkers, they follow their own star and can be brilliantly inventive. They know what they know and they have a view of what makes the world tick. Just occasionally they get it wrong, but don’t we all? Some born under stars not in sympathy to the Aquarian vibe might find them hard to understand. Aquarians are special, and they’re not in the business of pandering to the lowest common denominator. Two other famous 19th-century Aquarians come to mind: Charles Darwin and Abraham Lincoln, neither of whom seemed the sort to be put off by popular opinion. If Dickens were alive today, I doubt he’d vote Conservative as he was too painfully aware of the effects of poverty and indifferent officialdom on ordinary lives. Come to think of it, with his talent for spotting cant, I’m not sure he would vote for anyone. I was introduced to Dickens at a surprisingly early age. My grandmother, whose favourite book was ‘Our Mutual Friend’, collected the complete works and would read aloud the funnier passages from an ancient, leather-bound ‘Pickwick Papers’ which I still have. As an adult, one appreciates the anger that lay beyind the writings, the peeling back of layers of hypocrisy and the sheer fudge surrounding the social injustices that so outraged Dickens. Later on, at times when life dealt a particularly bad hand, I’ve turned to Dickens: maybe because what the characters were going through was so much worse than what I was dealing with, or perhaps because he has a way of defining the human situation that puts things in context. Or just possibly because Dickens’s slower-paced prose takes one out of the stress-inducing obsessions of the 21st-century into the intimate world of that other way of life. Thank you, Charles Dickens, for ‘telling it as it is’ in exemplary, inventive prose that has something to say to us two hundred years later. A Family History Fair seemed a good way to spend a grey Sunday afternoon yesterday, as I needed some material for a study I’m making of opportunities for writers and editors in family history. This turned out to be a good decision as family historians seem to be an enthusiastic band, happy to share information or pass the time of day. An extra delight was the discovery of a stall selling reprints of antique maps. I eventually chose replicas by Cassini of three of the first-ever Ordnance Survey maps, which appeared in 1805. West London is fascinating as it shows main roads such as the A30 much as they are now (disregarding motorways), villages and big houses scattered across open country as you headed west from the capital. That’s where History and Geography meet – nothing like the sort of History we were taught at school, which seemed to focus mostly on the first Duke of Wellington and the battles he fought, “Oudenarde, Ramillies, Malplaquet” is about all that’s left in the memory bank. It should have been enough to put anyone off the subject for life. Two 1805 maps of far western Cornwall show a landscape not vastly different from what is now and should be useful for a writing project I’m planning. The question is, who? Some say ’twas the lad from Stratford. That’s the traditional view, because it’s been handed down from generation to generation. It’s what we were taught at school. And the man’s name was on the texts, wasn’t it? But there’s not much if anything to say William Shakespeare actually wrote the powerful and amazing words published in his name. Then the film ‘Anonymous’ hotted up the debate and the flak began to fly. Strange how the critics ganged up, wasn’t it? Maybe it’s because they all have English degrees and believe what their teachers told them at school? There’s more to all this than meets the eye. I’ve just finished my draft feature so that’s enough for now.